At a panel on communicating brand values and voice on social media in November at the PR News’ Writing Boot Camp, I spoke to attendees about the importance of understanding your audience, before trying to communicate with them. It’s not just about who your brand is talking to – it’s how to create messages that connect with them. Consumers engage differently based on various demographics: age, culture, education. 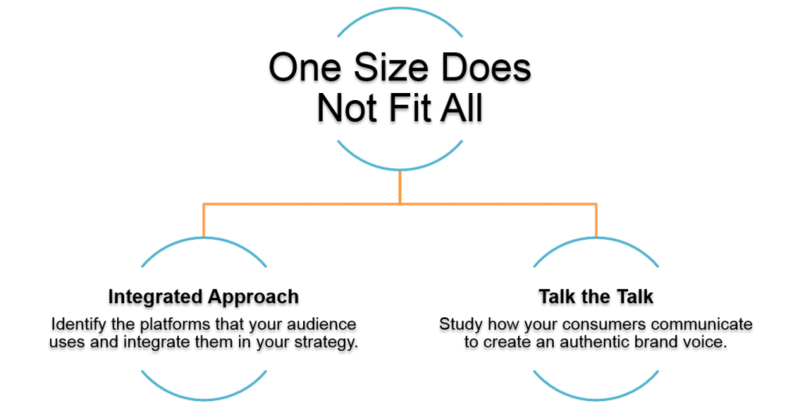 Brands looking for a total market approach should know that, contrary to popular belief, one size does not fit all. Extend your brand message. Source the conversations your audiences are involved in, and identify organic ways to engage them. Don’t talk the talk, if you can’t walk the walk. Be authentic. Brands should make a New Year’s resolution to stop seeing a new word millennials are using, and randomly throwing it into a tweet. 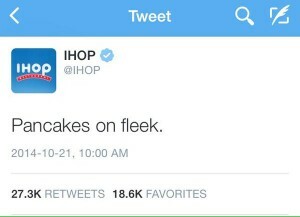 Lately, we’ve seen several social media fails with brands trying to awkwardly use slang terms, like on fleek (or on cleek?) and bae, to (apparently) sound cool. But, brands should also familiarize themselves with or nah, since some recently – and rightfully – got called out for it. Leverage other relevant networks Align with relevant influencers to carry your brand message, and empower them as a voice of your brand. Paint the picture. If content is king, context is the king’s hand (Winter is Coming). Engaging visuals + compelling brand messaging = a work of social media art. It’s the art of storytelling. Social media is not simply a vehicle for brand messaging. Approach social media like a foreign language – you wouldn’t start speaking it, without learning it first. Learn the language. Familiarize yourself. Then speak it fluently. Heed the advice in HD from Clay Davis, on Season 3 of The Wire.